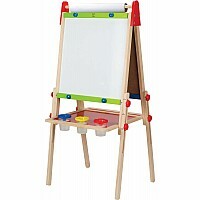 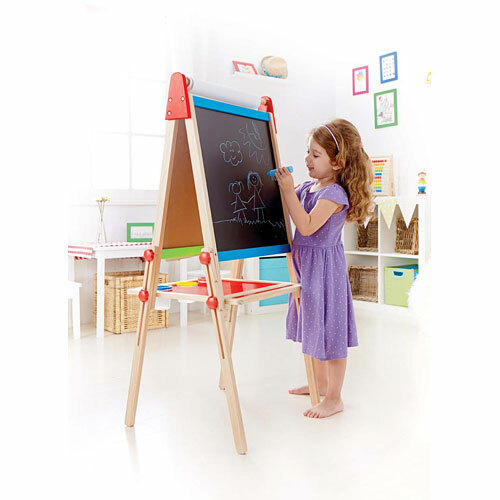 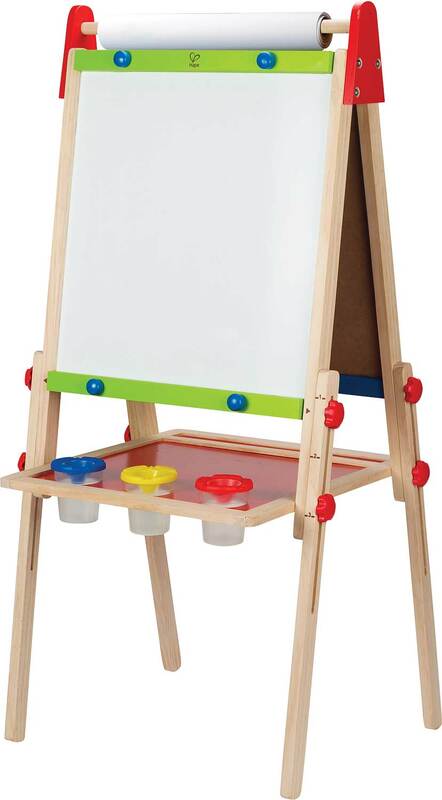 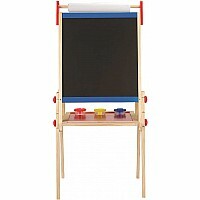 Includes: 3 paint pots, double sided easel with blackboard and magnetic whiteboard and paper roll. 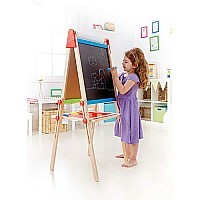 Height is adjustable from 37.5" to 43.5". 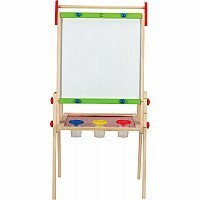 Play with colors. Use paint and crayons to learn the names of new shades. 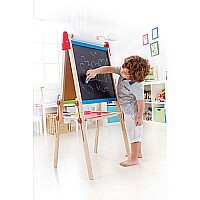 Measures approximately: 55.00 x 45.00 x 110.00 inches..